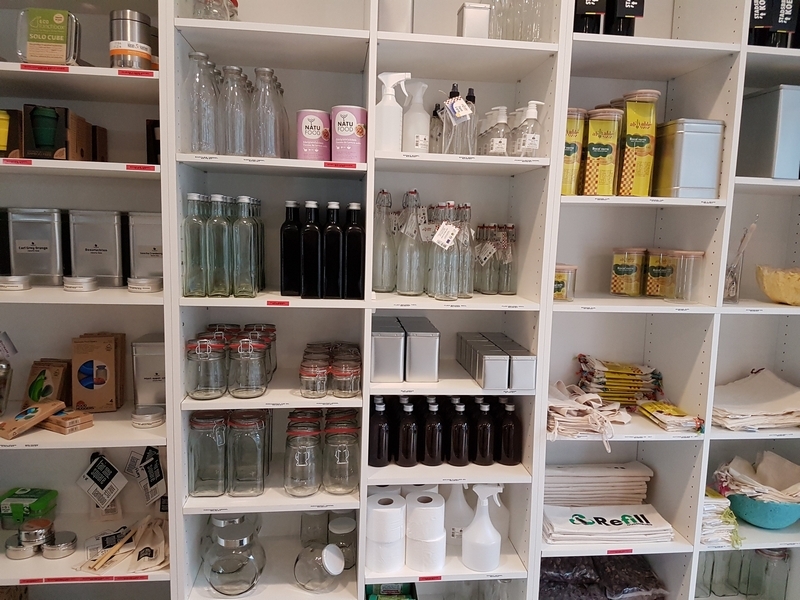 shop review #57 – Refill is a new zero waste shop in Oudenburg (close to Ostend). I was here with a friend a couple of weeks ago. 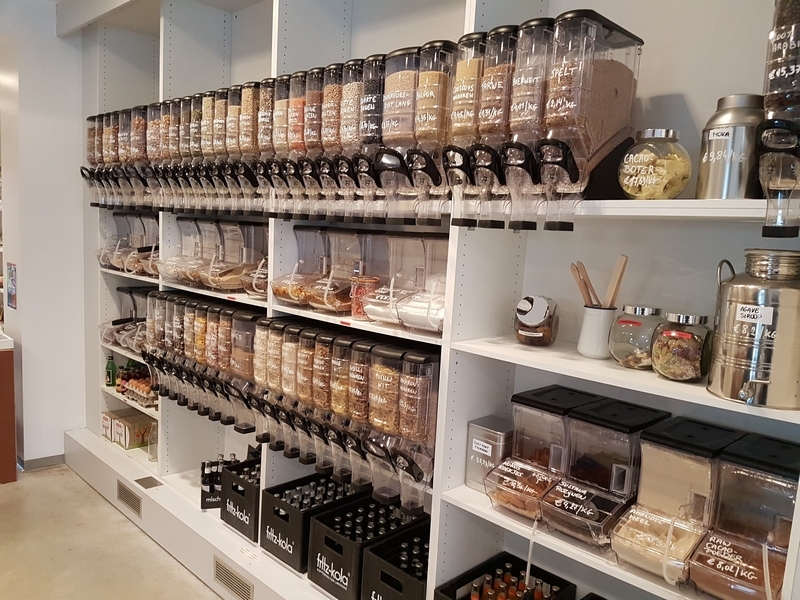 Refill has a large collection of dispensers with nuts, seeds, dried fruits, and other bulk products. 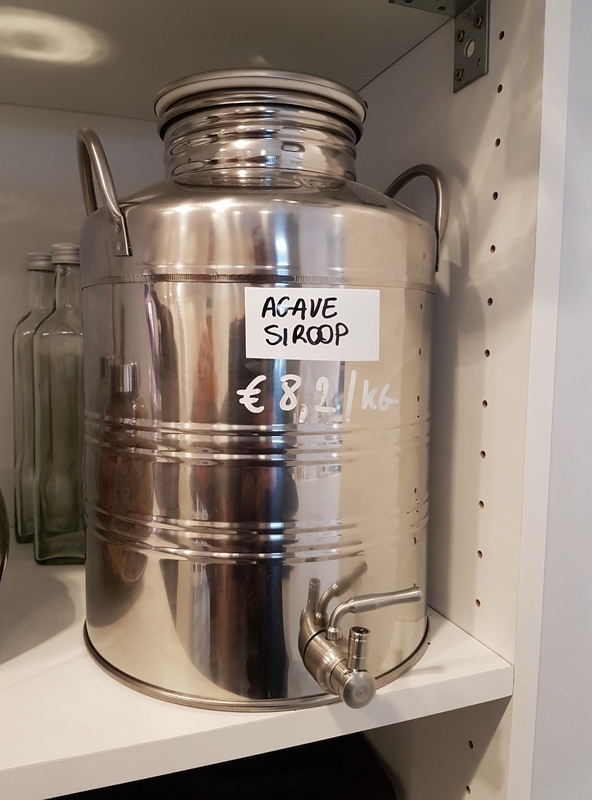 Also products like agave and cleaning products to refill. So bring your own boxes and bottles to fill! Also some vegan products in the fridge (burgers). 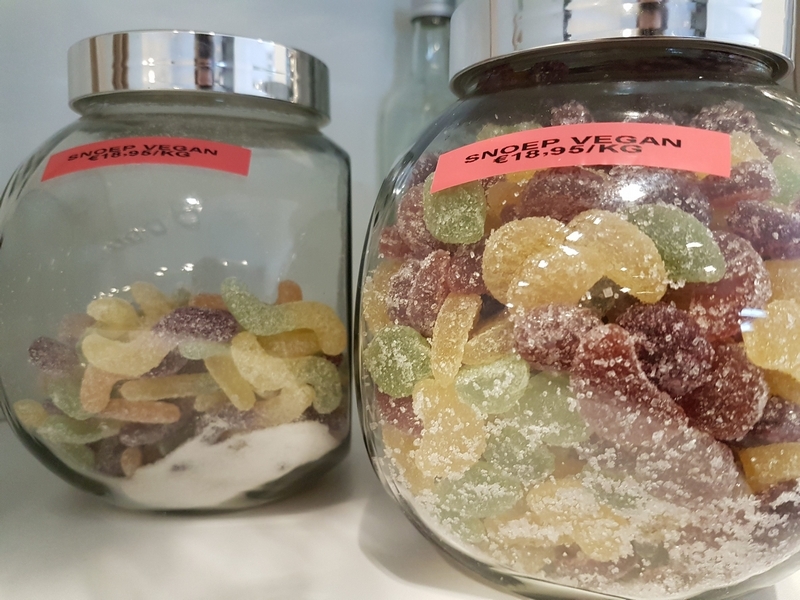 Refill also sells vegan cake and muffins, and vegan labelled candy. 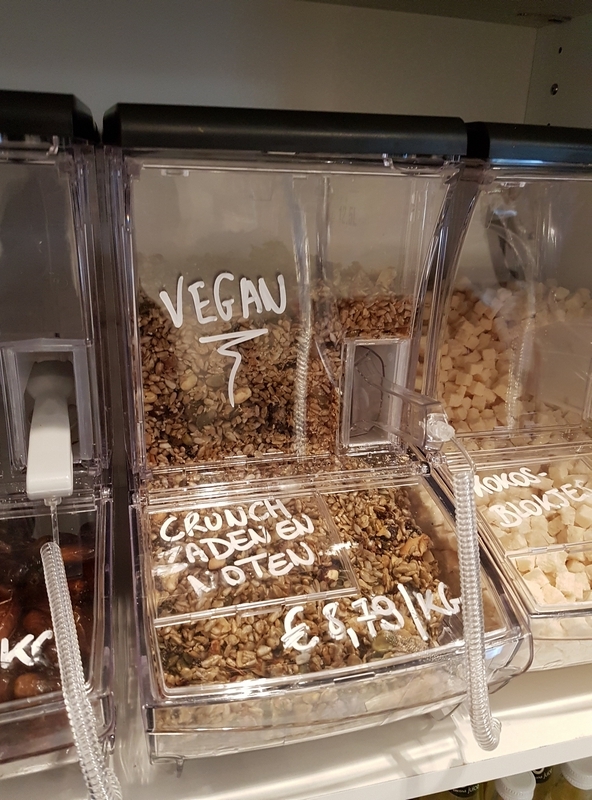 I bought some nuts and vegan candy. 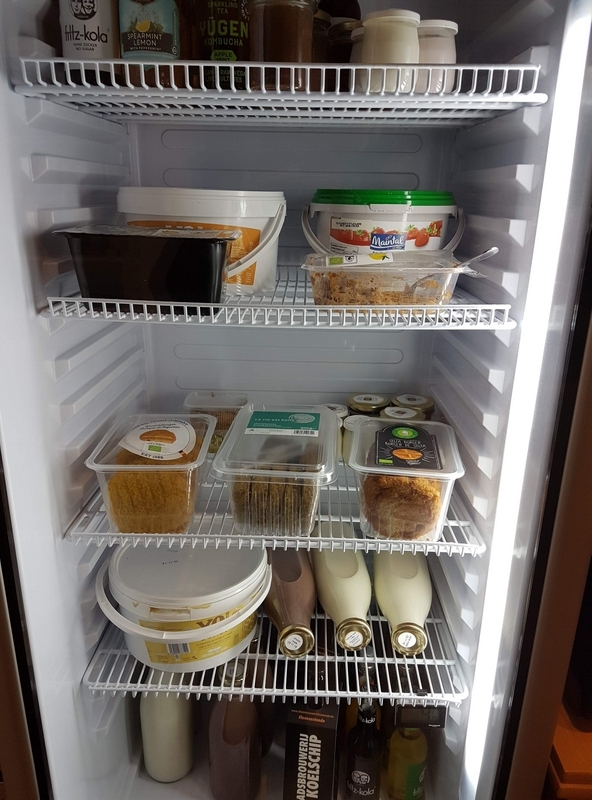 First you have to weigh your container at the counter, label it, then fill it up, so the weight of the container isn’t included in the price. 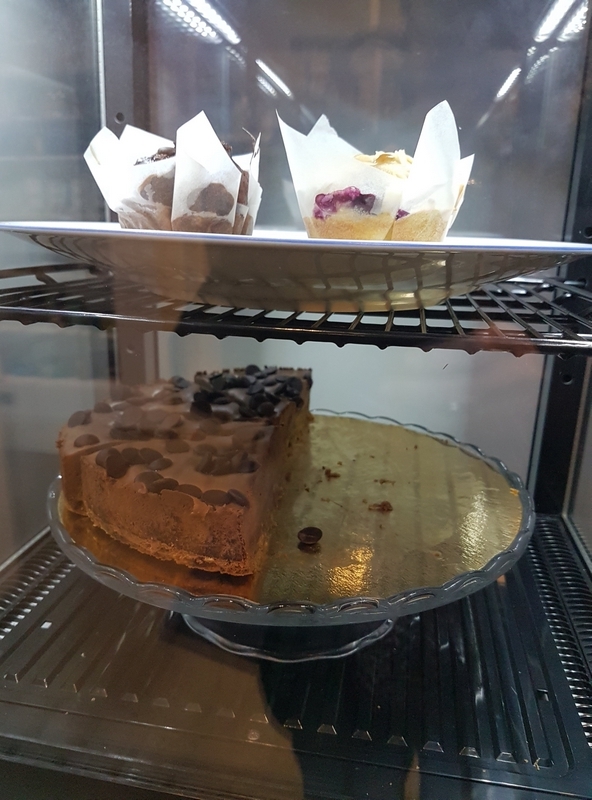 Also bought chocolate cake and a berry muffin. Very nice. 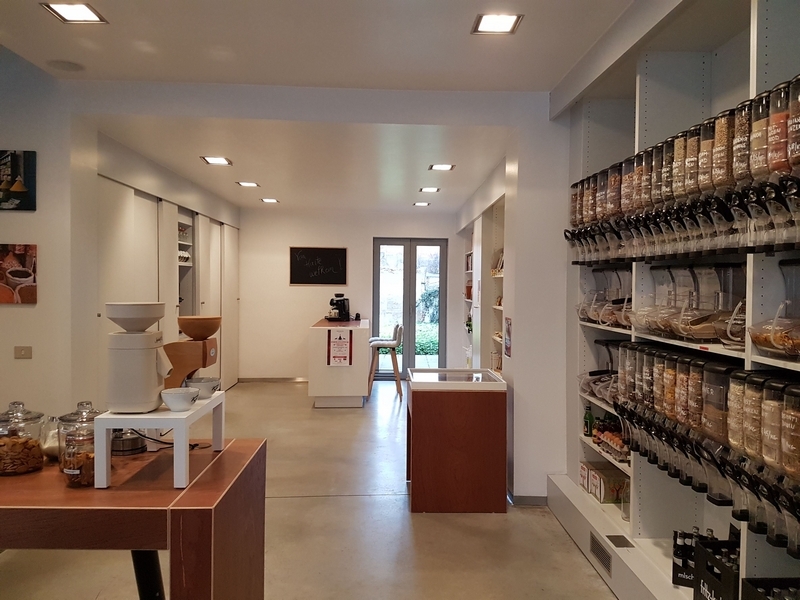 Refill is a bright and modern shop. Everything seemed newely renovated. Pity it is not accessible though (several large steps to get in). 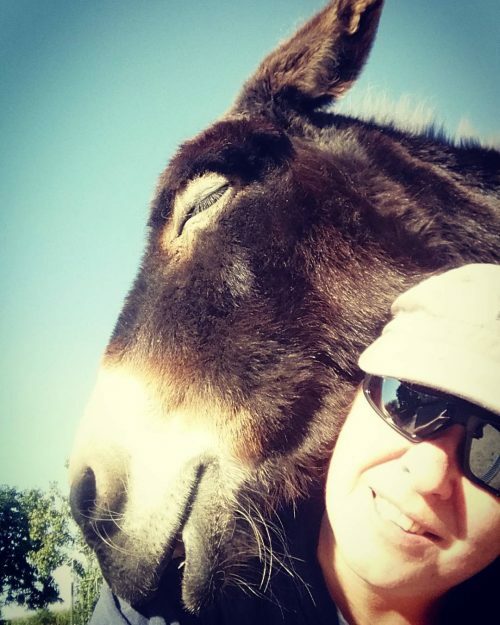 Friendly lady at the counter. 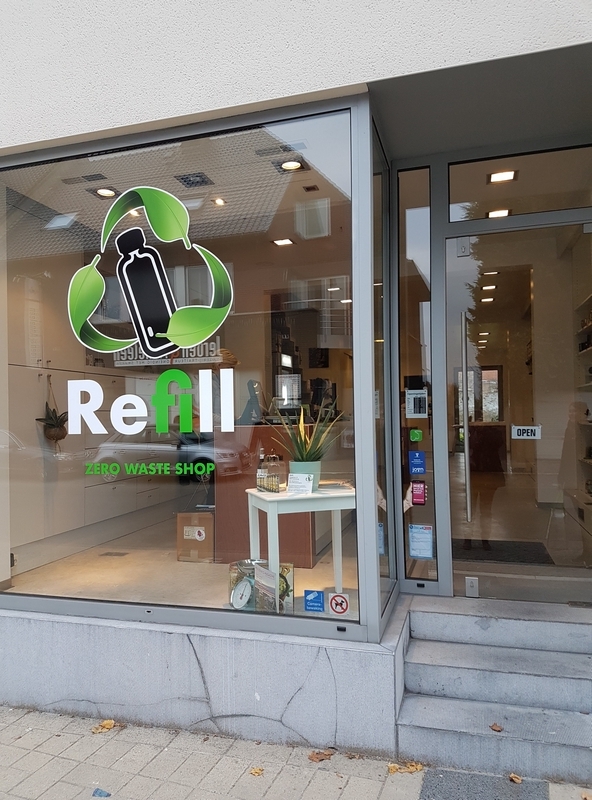 Refill is definitely a great addition to Oudenburg! 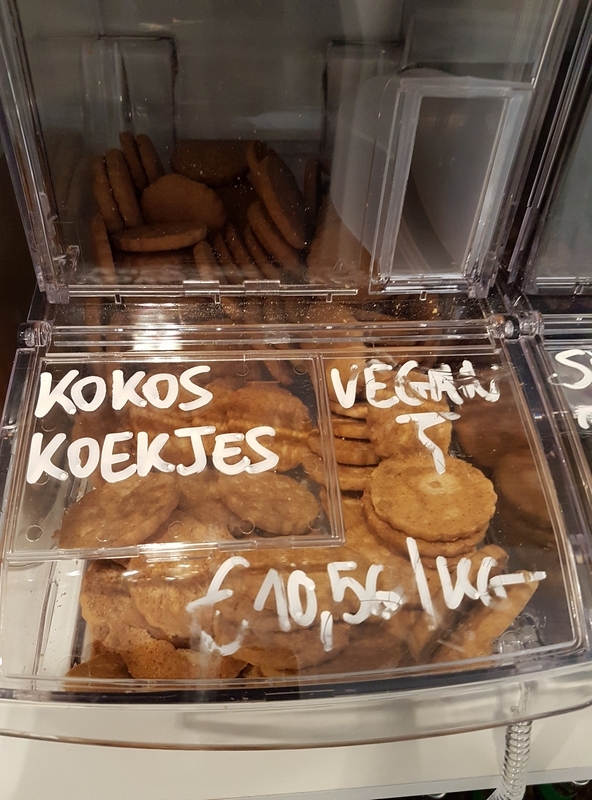 See the list of shops, on The Bruges Vegan, which may interest vegans.